A bit of Greek mythology for all those who have fitness trackers. 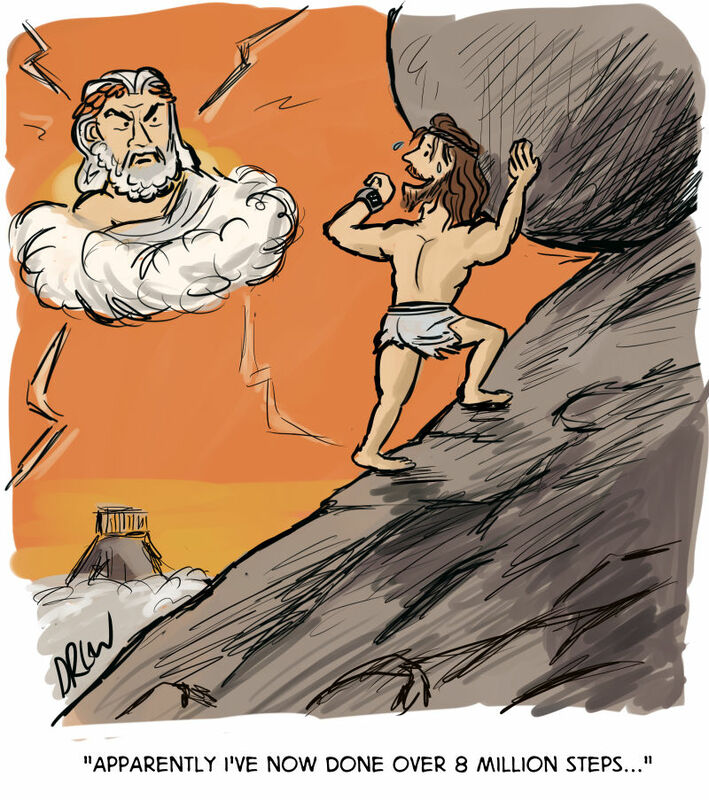 Sisyphus is of course the legendary king of Ephyra whose eternal punishment was to constantly roll a boulder up a hill and watch it roll down again in some sort of infinite loop. For other modern takes on mythological characters check out my police siren cartoon.